Team problem-solving challenges are tasks, puzzles, and other exercises that require teams to work closely together towards a common objective. Participants are asked to communicate effectively, share and develop ideas, make decisions, and be solution oriented. Underlying the seemingly simple nature of the team problem solving challenges are real opportunities for people to observe, learn, and gain feedback on how they personally function on a team and how the whole team functions. These connections are the primary focus of our facilitation of these experiences. Run individually or as a series of challenges, we have several unique team-based exercises that teams of all sizes can complete. As is the case with most of our team building challenges, the objective is not as important as the journey. 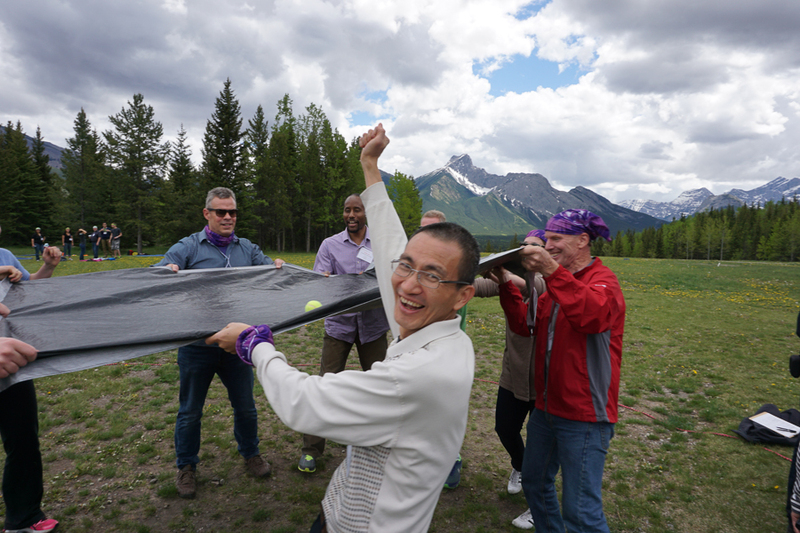 Our professional facilitators are focused on team dynamics, communication styles and approaches to leadership. We never miss an opportunity to link back to the team's work environment. These complex challenges usually result in a default to existing patterns of group behaviour, allowing for a facilitated conversation about team functioning in a neutral environment. This provides an excellent opportunity for insight and recognition of team strengths and capabilities. Where possible, we offer these activities outdoors, drawing on the change in environment to inspire new ways of thinking. Most of our challenges can be adapted for indoors provided we have a bit of space to move around.